happy monday! 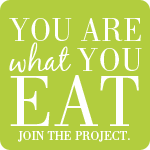 this week i’m the Food Matters Project host (my first time) – responsible for the recipe of the week. and I have chosen to give a shot to indian cuisine (one of my favourites). put the oil in a large pot or Dutch oven over medium heat. add the cardamom, mustard seeds, curry powder, gara masala, stir until the spices are fragrant but not burning, just a minute. add 1 tbsp gee and then add the onion, ginger, and garlic and cook, stirring, until softened, about 5 minutes. add the vegetables and lentils and cover with water by about 2 inches. cook until lentils and vegetables are tender about 25 to 35 minutes. season with salt and pepper to taste. garnish with fresh chopped cilantro and serve. drain and rinse black beans well. add 6 cups* of water and buy leaf into a medium saucepan and bring to a boil. cover, remove from heat, and let stand for 1 hour. drain the beans, reserving the liquid and set aside. heat the oil in a large saucepan on medium low heat; add ginger, garlic and mustard seeds until the seeds start to pop. add the rest of the spices and heat thoroughly in the oil. add chopped tomatoes, black beans and reserved liquid from the beans. add water if it’s necessary to just cover the beans. cover and cook for 10 minutes. add the chopped cilantro and serve. * beans that have been soaked will require about three cups of water for each cup of beans. still, it is always best to add more water and drain at the end. be sure to routinely check the water level during cooking, if you run out of water, the black beans will start to burn and acquire a burnt, smoky taste. heat 2 tsp oil in a large saucepan on medium low heat, add sliced tofu and fry them on both sides until golden brown, set aside. heat remaining oil, add spices and fry for 30 sec. add onions and fry about 3 min. add garlic, ginger and fry for few more minutes. add tomatoes, sugar, coriander and mint leaves (reserve some coriander leaves to garnish), cook about 5 min. finally add tofu and coconut milk, cook about 10 min. garnish with cilantro leaves and serve with rice or naan bread. this is so wonderful. each dish looks better than the next! Oh my goodness! This is a superb Indian feast… thanks for choosing this week’s recipe! Although mine turned out soupy, it was still really good! Great choice Anita! I’ll be using some of your other ideas as well. Wonderful pick! I love how you rounded out the rest of the feast, too! Beautiful and inspiring. Absolutely love your feast! What a great pick Anita! My husband doesn’t love curry (he gets sick of it fairly easily), so I did a little less than usual- but he loved how this recipe had all of the flavors blending. But I would love to come over to your house and enjoy that Indian spread!